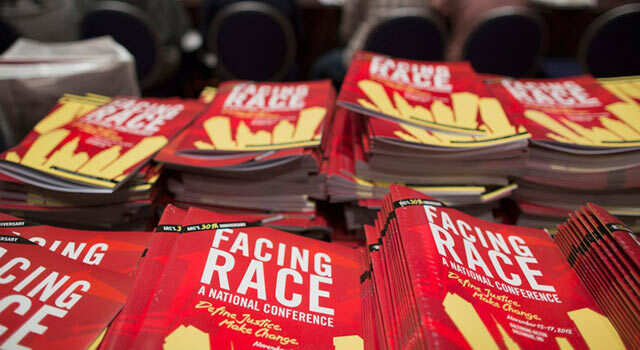 The Applied Research Center is hosting the 2012 Facing Race Conference in Baltimore, Maryland from November 15-17, 2012. “Facing Race is a conference like no other– it is the largest national, multi-racial gathering of leaders, educators, journalists, artists, and activists on racial justice. Attendees share their knowledge on advocating for racial justice in all walks of life.” Workshops include “Structural Racism 101: Critical Concepts for Getting to Racial Justice”, “Race and Masculinity: Perils, Pride and Pushing the Boundaries of Perception”, “Entrepreneurship and Racial Justice” and “The Roots of Racism: Say What?” Pulitzer Prize winning author and a 2012 MacArthur Foundation ‘Genius’ Grant recipient, Junot Diaz, will serve as the keynote speaker.